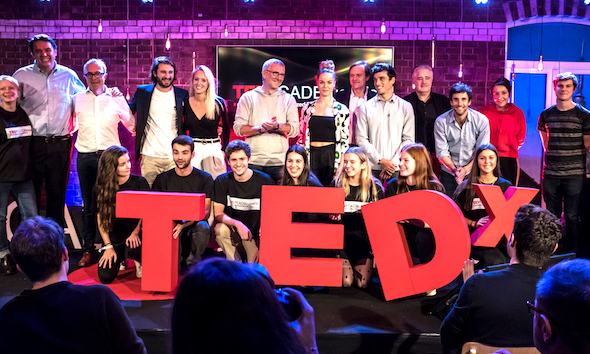 Last weekend, Emakina celebrated the kick off of the first TEDxCADBrussels, as main sponsor. And it was an inspiring day, filled to the brim with enthusiasm, engagement and creativity. 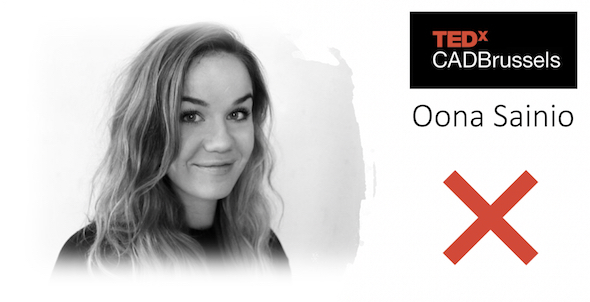 In her talk, Marianne Behaeghel from Creativity Fitness used the power of images to unleash new ideas and smart solutions. With her creativity fitness exercises, she uses photos as catalysts to solve problems. How? By associating positive words to these images and then thinking of connecting these words with the issue you need to tackle. Oona Sainio also energized the audience with her story. A real power boost! This Finnish CAD student shared her valuable lesson: it’s really OK to be scared and feel your fear. But you have to face this emotion. Take a step forward, consider your stress as an opportunity to grow, and boldly move towards your goals. From ice skating skating championships to studying at CAD, from designing to working together and creating beauty… face your fears! Two eco-oriented talks at the event stood out as creative and environmental eye openers. Arnaud de la Tour of Hello Tomorrow in his talk demonstrated how deep technologies help to solve some of the world’s toughest challenges for the planet. Very inspiring! 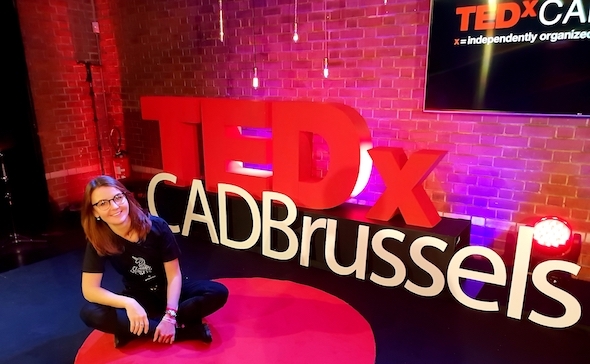 In conclusion, the TEDxCADBrussels event not only was inspirational, it also brought a message of hope.